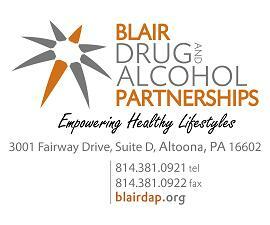 Contact Person – Tracy Kelley, 943-0481 The Blair County Health and Welfare Council will meet Friday, March 18, 2016, from 8:00 am to 9:30 am at The Arc of Blair County. Guest speaker for the meeting will be Dr. Zane Gates. Dr. Gates will be discussing his Empower3 Center for Health in Altoona, PA. Empower3 Center is serving the Central Pennsylvania region’s Medicaid patients under contract with the UPMC Health Plan and is also serving the uninsured and those with private health plans. His office operates on a flat, per-patient per-month fee, rather than typical charges based on individual diagnoses and treatments. One of only two such offices in the country, Empower 3 Center services includes lab, pharmacy, dietetic and - prospectively - telemedicine services. If you anticipate needing any type of accommodation or have questions about the physical access provided, please contact Kristen Luciano at 814-944-4519, ext. 331 or kluciano@skillsgroup.org in advance of your participation or visit. Phil Freeman , President of Home Nursing Agency will be the guest speaker on November 20, 2015. The Blair County Health and Welfare Council will meet Friday, September 25, 2015, from 8:00am to 9:30am at The Arc of Blair County. Guest speakers for the meeting will be David Aiello, Multidisciplinary Investigative Team (MDIT) Case Coordinator, and Jackie Atherton Bernard, First Assistant District Attorney, Blair County. They will be speaking about the current efforts to establish a Child Advocacy Center in Blair County. The Blair County Health and Welfare Council provides education and information to the public on health and human service needs, services, and resources. Everyone is welcome to attend the meeting. Whether you are a business looking for skilled workers or an individual looking for a new job or career, the Blair County CareerLink has services designed to help.